Lets go to Malapascua Island and learn about island life. Malapascua Island is a laidback island north of Cebu Island in the Visaya area of the Philippines. It is a small island which combines real Filipino island life-style of fishing with the arrival of tourism. Its not an exclusive 5 star island more a homely friendly share nature with those that live there Island. The main attraction to Malapascua is not the island but whats around it ! 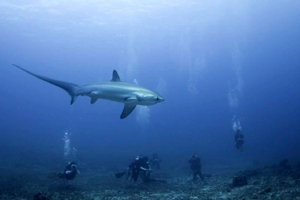 Malapascua is one of the only places in the world where you can see Thresher Sharks, these gentle deep water sharks can be seen on dives at Monad shoal close to Malapascua. Its an early morning dive for experienced divers only (30 metres) but a most amazing experience. 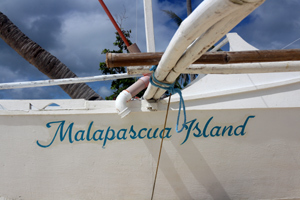 First you need to know how to get to Malapascua Island. 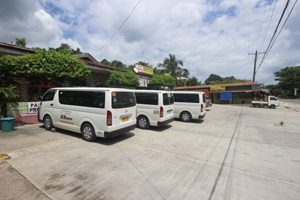 There is no airport on Malapascua (its way too small and peaceful for that) the nearest airport is Mactan airport in Cebu where flights arrive daily from Manila, Davao in the Philippines and several flights each week internationally from Singapore, Hong Kong, Japan and Korea.